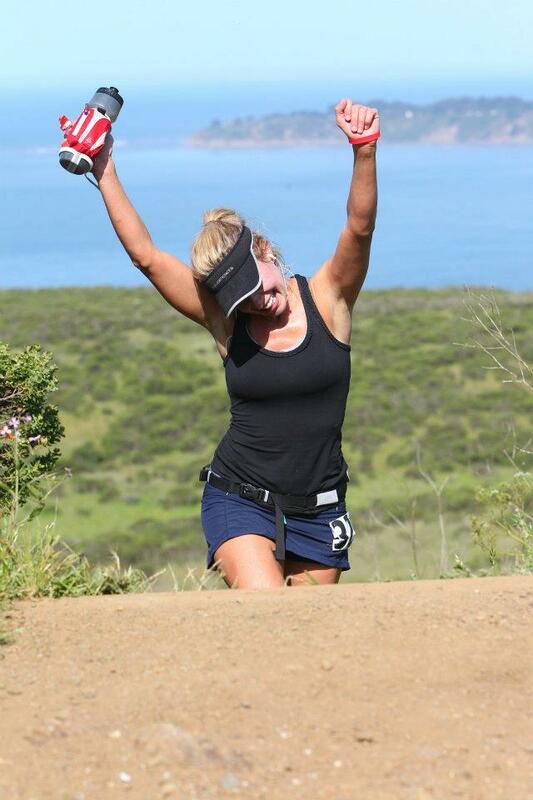 Miwok 100k 2012, A Race for the Mind. The supermoon rose over the Bolinas Bay and I felt my breath began to reach a steady rythym as we rose up and out of Stinson Beach about 1800 feet. I laughed, I cursed, I stumbled, I sailed. All before hitting Bolinas Ridge. As an indicator of what the day might feel like, I could tell this one was going to take me to the depths of what I could handle, what I would want or not want in my running, wht my body was trained or not trained to do. My plan was to run hard, to see what systems were firing correctly in my body and to try to find patience throughout the day. Though the men’s field wasn’t altogether as competitive as year’s past, the women’s field seemed to hold a pretty good entrant list and I knew it would be a great way to test myself. Besides the usual competitive fire in me, I felt a little nervous that training weeks leading up to this race never went above 60 miles per week and with work travel thrown in, some weeks were pretty dismal in terms of quality runs. But nevermind that, right. I would run this race with my heart and my head and hope my legs could keep up. As you know, I’m not one to take you mile by mile of the course. But even now, 3 weeks later, I still remember every mile quite vividly and how I felt at that moment. Most races are not like that for me and inevitably, I forget the pain. But this race was special. It challenged me in a way that most races had not. I think most of that comes from me underestimating the two extra climbs in and out of Stinson beach and the steady heat felt most of the day. I also think I ran too hard up front and didn’t let the course come to me in a way that usually is my style. The beauty of the course and views of the water, trees, and smells unique to the Marin Headlands were treats all day long. Seeing my husband at each aid station to get me in and out was not taken for granted. Thoughts of my little girl danced in and out of my head. I watched people casually hike up the stairs of Pirates Cove, probably headed to picnic and lie around. I watched kids build sand castles on Rodeo Beach as slid and struggled through that same sand, my legs revolting at the extra work. I felt the breeze of the bay hit my forehead as I crested the top of Marincello, happy that I could run almost the whole climb. I enjoyed the cold water poured on my back in Tennesee Valley. Yes, it was a day for the senses. I actually vowed to give up ultras by the time mile 52 had approached. Bon Bons and movies and the secret fat person was trying to keep me down. I was hurting and insecure about my abilities to race. JB was pacing me and to be honest, he was so focused on keeping me in front of Ragan Petrie chasing me down since mile 50 that we forgot to laugh, to look around, to talk. It was me,” How far back in Ragan,” and him, ” she’s 100 yards behind,” and me, “I can’t go any faster and I don’t care anymore,” and him, “babe, you are doing great, can you run up to that tree just a little harder,” and me, ” okay its time to run harder, I’m not getting passed,” and him, ” you got this.” This breathless, back and forth banter continued for 13.5 miles until we reached the last stair heading down the dipsea when I finally relaxed. And yet only for 4th place. This wasn’t a race for 1st, I kept thinking. But hey, it was a race. Certainly there were smiles and exhilarating jolts of energy all day long. I felt weightless at times and happy to see and run with good friends. I was even okay with Jimmy Dean giving me a sweaty hug as he passed me at mile 46. But I did suffer this day and went to the well over and over again. The truth is, this needed to happen to me. It made me fired up to train hard, not to race until Western States and to give my body a shot at racing and enjoying a run, if that marriage is ever to be. I know the reality of juggling the demands of mommyhood, work, relationships and the training can lead to full on melt down. But the race was amazing and given to me at a time that was really perfect. Race kit/Things that worked: Vespa every 2 hours- increased consumption left me fueling less on gels and I actually had more energy. No watch- accidently bumped into Meghan Arbogast on the first climb and it broke my Garmin wrist strap. I ran without time or miles all day and loved it! Drymax socks are the absolute best- happy toes all day! GU Brew is always a great drink for me to supplement sodium intakie. No wheat or flour and only rice and sweet potatoes as my carbs are now essential for me to have a happy stomach. Lessens Learned: Going slower up front is always okay if you are a second half runner. Keep positive, don’t let your mind ride in that dark place too long. Be nice to your pacer, especially if he is your husband… And yes, training does directly impact performance…. you can’t fake a 100k.